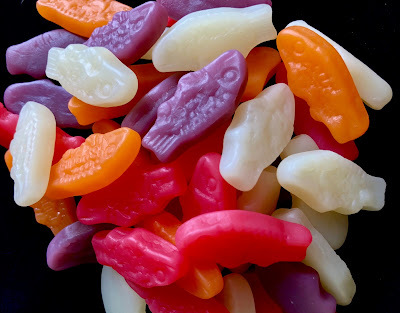 As pointed out in a number of past posts, I believe that Swedish Fish are the best gummy product, no contest. Myriad gummies are released on the market but to my taste-buds nothing compares with a Red Swedish Fish. 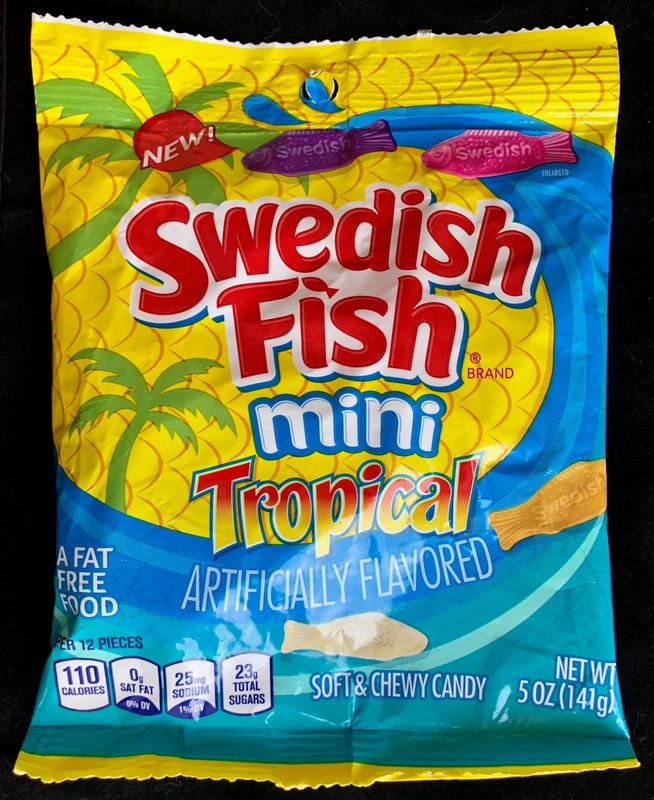 The Summery blends of new Mini Tropical Swedish Fish: Pina Colada; Tropical Island; Beachy Punch; and Passion Fruit. 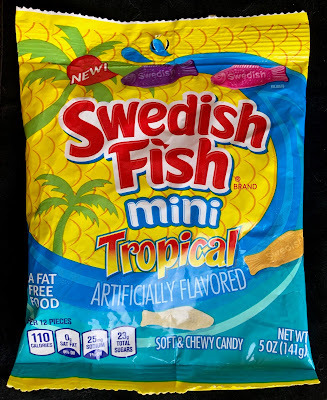 Not a bad one in the bunch, although there's a little too much artificial coconut used in too many of the flavors. 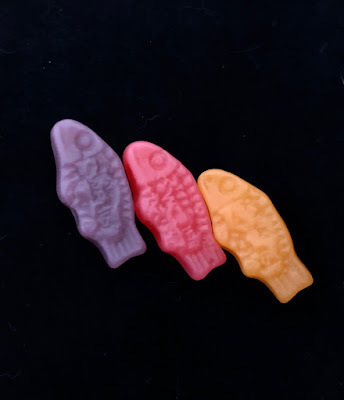 The contents of the bag disappeared incredibly quickly.